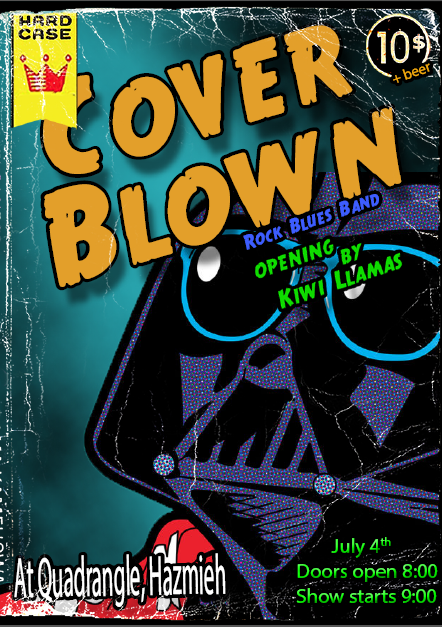 Come on July the fourth to watch Cover Blown as the band will be laying down a fine playlist of wide varieties ranging from rock all the way to blues. Whether you are into the slow music of Tracy Chapman, or the hard rock of Led Zeppelin and Black Sabbath, then the Quadrangle on the 4th of July is where you should be. Kiwi Llamas will be opening the show at 9 pm, giving you sizzling guitar solos and getting you all hyped up, playing a wide variety of rock, hard rock, and even harder rock.